Wema Sepetu is undeniably not having it any easy especially after her mum exposed her online. Well apparently Wema Sepetu is now a full blown lesbian and even has a girlfriend she has been living with. Judging from an audio of Sepetu’s mum leaked online; one cant help but pitty the old lady who has been standing in for her daughter for quite a long time. From the audio mama Wema Sepetu is heard asking Sepetu’s friends to talk to her daughter who seems to be losing herself. Just like any parent, it’s clear to see that the lady is not ready to accept the fact that her daughter now prefers fellow women to men. Hypertension Anyway word making rounds on social media is that Wema Sepetu is now under serious treatment after her blood pressure went up. Apparently she was affected by the nasty comments left by fans who couldn’t hold back from bashing her for practicing lesbianism. This led her to being hospitalized and according to TZ shaderoom, Sepetu’s mum is now arguing all gossip tabloids to hold off from attacking her daughter whose health condition seems unstable at the moment. 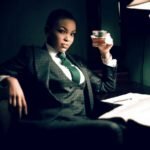 The post Wema Sepetu rushed to hospital due to High blood pressure after lesbianism rumors appeared first on Ghafla! Kenya.